We will be doing our show live from Mr G’s Ice cream Parlor. This entry was posted on April 30, 2015 at 3:46 pm and is filed under Aliens/UFO, Ancient Mysteries, Announcements, Cryptozoology, From the Hosts, Ghosts & Hauntings, Listener Feedback, Psychic Phenomena. You can follow any responses to this entry through the RSS 2.0 feed. You can leave a response, or trackback from your own site. 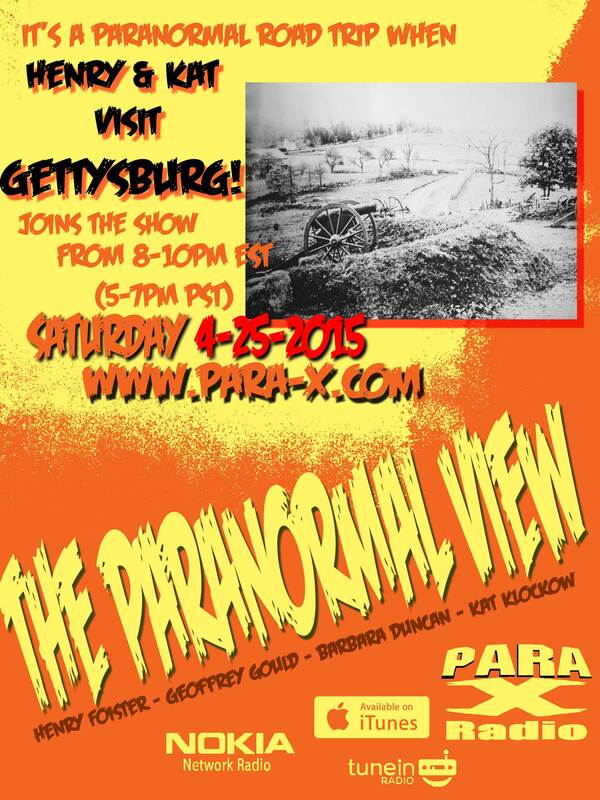 The Paranormal View – Para-X Radio Network and CBS Psychic Radio on all my social media profiles.